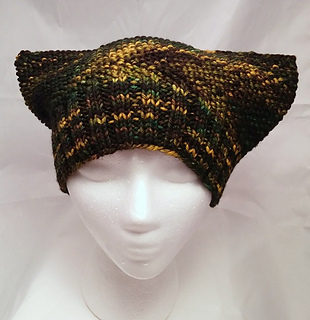 This is a ‘cat ear’ hat pattern. It uses the Seed Stitch and a 3 Needle Bind off. Pattern photo shows hat knit with hand dyed yarn from Apocalypse Friday in Swamp Thing colorway.